Team apparel, namely, hockey jerseys, sports bags, shirts, T-shirts, baseball caps, sweatshirts, jackets, coats, pants, tracksuits, under equipment wear, ties; headgear, namely baseball caps, toques, headbands and helmets; printed matter, namely, programs, periodicals and newsletters; souvenirs, namely, sports bags, water bottles, skate towels, pucks, skate mats, minature hockey sticks, medallions, pins, stickers and banners; awards, namely, medals, plaques and trophies Providing entertainment and amusement through the medium of hockey games; the organization and administration of a hockey association; promoting and encouraging the increased recreational activity and physical fitness amongst Canadians through participation in recreational hockey; organizing, providing and conducting hockey tournaments; organizing, providing and conducting hockey leagues; providing educational instruction regarding skating, hockey skills, coaching, timekeeping and officiating of hockey games; providing news and information on minor hockey teams and leagues by means of internet. 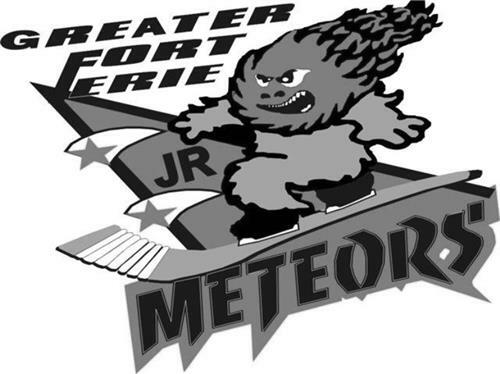 On Friday, November 7, 2008, a canadian trademark registration was filed for the above pictured logo by FORT ERIE MINOR HOCKEY ASSOCIA 1 Municipal Drive, P.O. Box 1015, Fort Erie, ONTARIO, CANADA L2A5M6. The Canadian IP office has given the trademark application number of 1417615. The current status of this trademark filing is Registration published. The correspondent listed for is GOWLING WLG (CANADA) LLP of 1 MAIN STREET WEST, HAMILTON, ONTARIO, CANADA L8P4Z5 The trademark is filed in the description of Team apparel, namely, hockey jerseys, sports bags, shirts, T-shirts, baseball caps, sweatshirts, jackets, coats, pants, tracksuits, under equipment wear, ties; headgear, namely baseball caps, toques, headbands and helmets; printed matter, namely, programs, periodicals and newsletters; souvenirs, namely, sports bags, water bottles, skate towels, pucks, skate mats, minature hockey sticks, medallions, pins, stickers and banners; awards, namely, medals, plaques and trophies , Providing entertainment and amusement through the medium of hockey games; the organization and administration of a hockey association; promoting and encouraging the increased recreational activity and physical fitness amongst Canadians through participation in recreational hockey; organizing, providing and conducting hockey tournaments; organizing, providing and conducting hockey leagues; providing educational instruction regarding skating, hockey skills, coaching, timekeeping and officiating of hockey games; providing news and information on minor hockey teams and leagues by means of internet. .
(10) Other unidentifiable personifications, other fantastic beings of human appearance -- Notes: (a) Including snowmen, scarecrows and ghosts. -- (b) Not including dwarfs (2.1.7), allegorical or mythological personages (2.1.22 or 2.3.22), winged or horned creatures classified in division 4.1. (2) - Providing entertainment and amusement through the medium of hockey games; the organization and administration of a hockey association; promoting and encouraging the increased recreational activity and physical fitness amongst Canadians through participation in recreational hockey; organizing, providing and conducting hockey tournaments; organizing, providing and conducting hockey leagues; providing educational instruction regarding skating, hockey skills, coaching, timekeeping and officiating of hockey games; providing news and information on minor hockey teams and leagues by means of internet.